Bender generally uses world events as the background for fiction focused on domestic life, but these 11 stories make our current sociopolitical landscape the subject. Closed spaces—elevators, offices, an airplane, classrooms—amplify the inner dramas of Bender’s watchful, anxious, feverishly expressive narrators in her second short story collection, following Refund. In the title story, in which two competitive friends abruptly part ways after a school shooting, the new order refers to the seating arrangement in a student orchestra, but the phrase takes on many shades of meaning as Bender’s characters navigate an array of unnerving situations ... With literary virtuosity, psychological authenticity, and breath-catching insight, Bender dramatizes gripping personal dilemmas compounded by a new order of social tyranny. Karen E. Bender’s new story collection is steeped in the present political moment, with an eye to our future. Our cultural corrosion—especially our denial of sexual assault and gun violence—impacts Bender’s female narrators in quiet, resounding ways ... 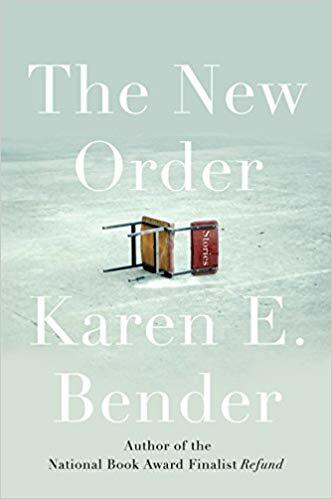 The New Order delivers deceptively straightforward reflections on the mundane, as the reader is drawn into worlds much like our own. Where To Hide in a Synagogue sets the volume’s demoralized tone; while discussing with a friend how to protect their congregation from attack, a woman realizes their relationship won’t survive their disagreement over whom to trust or fear ... Riveting if polemical, and mostly bleak, depictions of America. What did you think of The New Order?